One of the most popular gyms in the East Coast, Blink Fitness takes pride in providing fitness services that cater to people of all sizes, age, or physical ability. With over 50 locations in New York, New Jersey, and Pennsylvania, they provide state-of-the-art gym facilities and services for people who want to look and feel better. Blink Fitness was launched in 2011 by Equinox Fitness under a value-driven membership model. The company provides clean and modern gyms with a friendly and welcoming staff. Blink Fitness currently has more than 50 locations in New York, New Jersey, and Pennsylvania. Check out their website to find the branch nearest you. Blink stands out because of their proprietary Feel Good Experience. They believe in making their clients feel good thru their unique facilities and cheerful personnel. Joining Blink Fitness will give you the chance to partake in their Feel Good Experience. They provide a unique workout environment that can’t be compared to anything else out there. Their gym is designed to uplift the mood of everyone working out there. Add highly-positive trainers and staff workers, and you’re sure to have a great time working out. Personal training is available at Blink Fitness. For as low as $27 a week, you can get 30 to 60 minute personal training programs with certified trainers. You can schedule your personal training sessions in advance and in the days and times you are available. However, cancellations of scheduled sessions must be done at least 24 hours in advance. 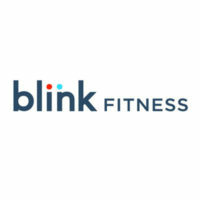 Because of their unique approach towards fitness, Blink Fitness has garnered high praise from their regular clients, those who tried their services, and even the media. Their gyms boasts of wide spaces that provide customers more than enough room to do their routines. Their locker rooms and showers are also spacious and complete with amenities. The setup of the entire facility is also remarkable. All kinds of equipment are available for people to complete their routines, from weight training to functional programs. Perhaps the most impressive trait of this gym is their staff. Everyone from the trainers to the front desk is friendly and enthusiastic, effective for setting the mood. Blink Fitness has established themselves as a gym that’s open to all. They cater to weekend warriors, full-time athletes, senior citizens, obese people, and even persons with disabilities. One of the best things about Blink Fitness is their membership fee. You can become a full-time member and have access to their services for as little as $15 a month. You can sign into any of their 3 groups: Green, Blue, and Gray. The most expensive membership, the Green membership, provides full access to all branches plus other exclusive offers. An annual maintenance fee of $49 is charged to every member. This fee is paid during the 3rd day of the 3rd month after you signed up. Their trainer fees depend on the number of sessions per month and the length of each session. For example, a plan with 4 30-minute sessions a month costs $125. If you are a Green or Blue member, you are entitled to unlimited guest passes. You can bring along one guest with you each time you work out. Guests must be 18 years old and above to avail of guest privileges. A valid ID and a proof of age are required for them to get in. All their branches contain multiple cardio equipment such as treadmills, stationary bikes, rowers, and elliptical machines. They also have strength equipment such as dumbbells, barbells, and benches. They also have premium training equipment such as battle ropes, medicine balls, rollers, and resistance bands. They even have a functional area where you can do circuit training and HIIT. Once you are done, you’ll be able to wind down in their spacious locker rooms. It comes complete with showers, ample storage space, scales, mirrors, soap and shampoo, and toiletry vending machines. Completing the gym is a state-of-the-art front area managed by their excellent personnel. This area boasts free Wi-Fi access and a store where you can get official merchandise and last-minute goods. For more information on Blink Fitness membership and cost, visit official site .